CraftWell thrives at the intersection of style, health and technology. We are a strategic creative agency headquartered in Los Angeles, CA. 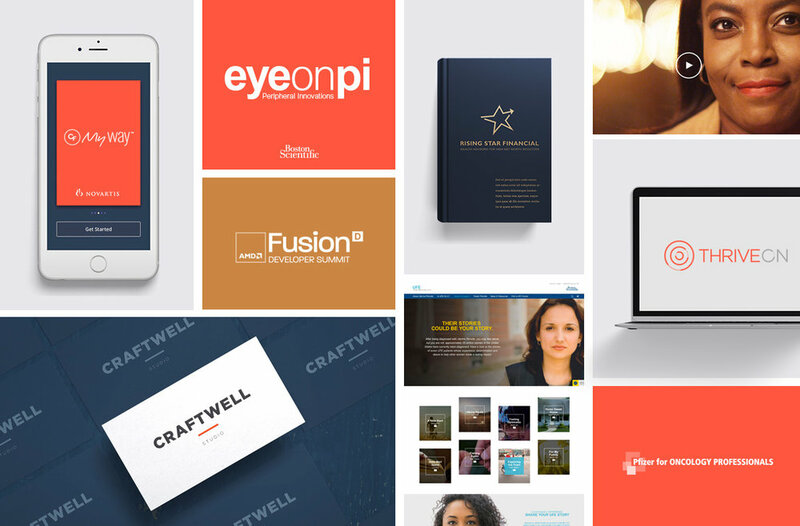 From brand identity and marketing campaigns to web sites and print, we juggle it all. Our vision is to inspire a lifestyle, not sell a product. Whether it's a medical device, health insurance or a conference event, we help cultural icons like Allergan, Boston Scientific, AMD and Anthem build brands that are experienced—not just viewed. We will illuminate your brand’s North Star, and all creative executions will align with that coordinate. We can partner with your team to clarify your brand’s strategy, profile your target audiences and define the values. We will then breathe life into the best creative execution that will elevate and differentiate your brand in the market when you launch. Our work is built on simple, thoughtful strategies that are clear and actionable. We hope to become so essential, that there’s no question that we will act as an extension of your team. We connect, collaborate and play with many of the industries’ most creative professionals in Los Angeles and New York. We work with our clients to define a brand platform that will keep our teams in lockstep as we move to deliver the best brand experience possible. Please drop us a line and we'll share some of our most effective and exciting stuff with you. We like to put our voice out there. It's how we grow, as well as share our knowledge. Happy reading and listening.